Sometimes we just need to stop, breathe and listen to what God is saying. Life can be so busy at times that we miss the important instructions we need to go forward. Give yourself permission to sit still and enjoy the stillness of the moment. That brief pause may hold the key to the breakthrough you have been awaiting. 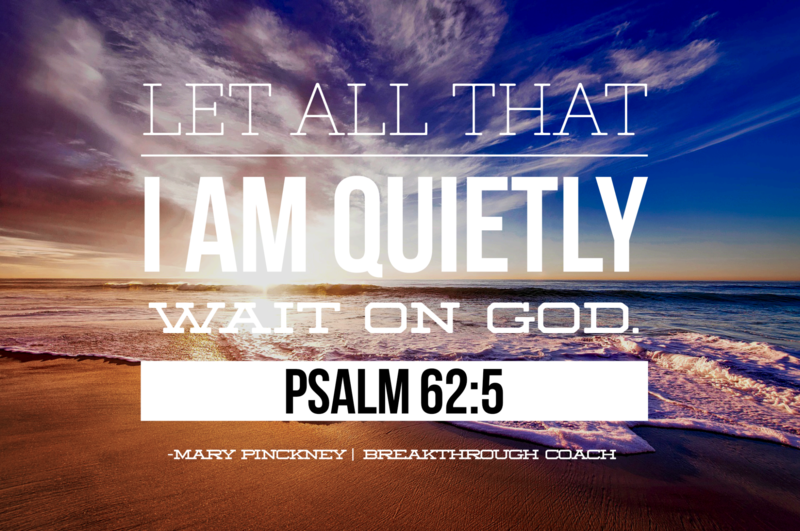 Lord teach us how to be still and wait in your presence. Teach us how important it is to listen for your still small voice in the midst of our daily routine. Breakthrough Coach~ Breaking you through to a greater you! Thank you so much for taking the time to read and respond. God bless you!